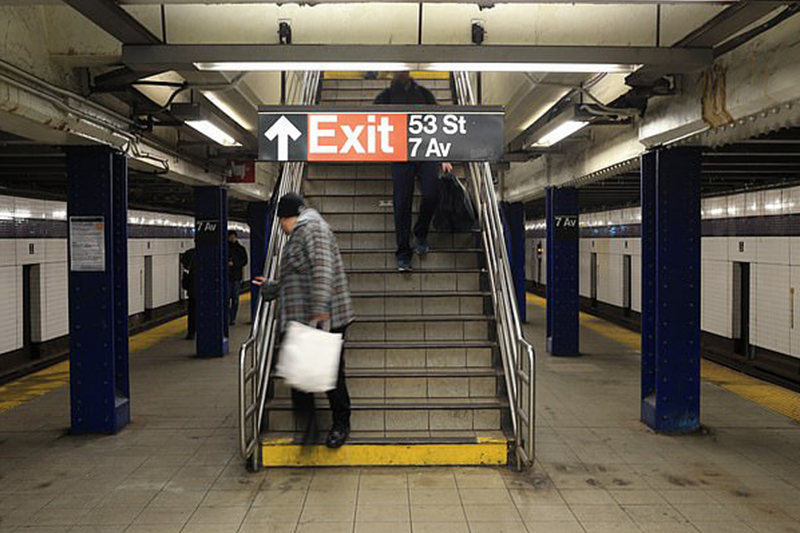 A young mother found dead at the foot of the stairs in a subway station on Monday died of a medical condition and not as a result of the fall, police have revealed. Malaysia Goodson, 22, was found at the bottom of the stairs at the 53rd St. and Seventh Avenue subway station at 8pm on Monday. The daycare worker from Stamford, Connecticut, had been in the city visiting a cousin when the accident happened. Commuters watched in horror as she fell while carrying her one-year-old daughter in her stroller. She was found by other commuters lying on top of the toddler next some scattered groceries. Malaysia was taken to the hospital but she was later pronounced dead. On Wednesday, NYPD sources told The New York Post that Goodson had a thyroid condition and had been complaining of headaches for days before the accident. They do not believe she fell down the whole flight and that she would only have missed a few steps.